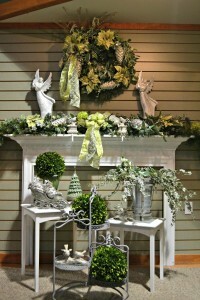 It’s hard to go wrong with a green, white and silver color pallet. 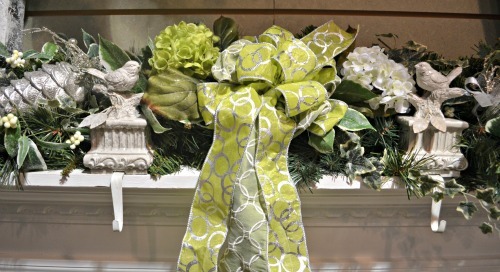 These colors easily coordinated with any home decor. 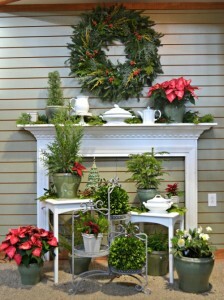 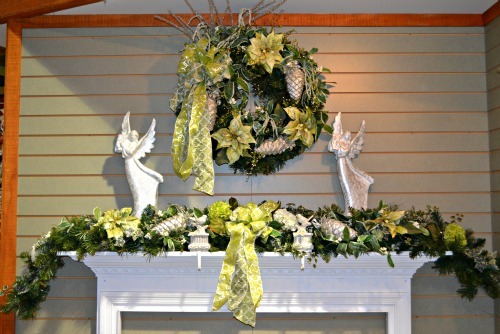 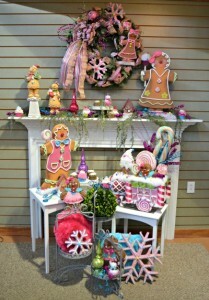 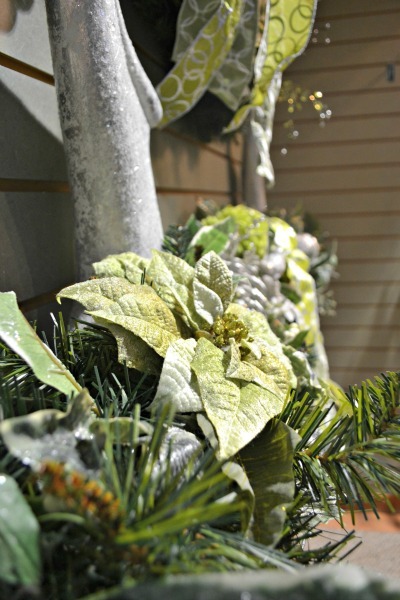 Some lime green ribbon, silk poinsettias and hydrangeas, birds and angels create a traditional Holiday mantle. Touches of nature including silver pine cones, birds and ivy help make the space cozy and inviting.